The thinning of a tree involves the removal of a proportion of secondary branches to produce a uniform structure to the crown of the tree; reducing the density of it, without altering the original overall size or shape of the tree worked on. 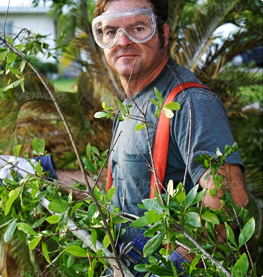 This type of work is generally used as part of the tree care process for deciduous broadleafed trees. It can be a positive option for tree owners who wish to allow more light in to their garden areas or homes, but do not wish to loose the pleasure of their tree. It can also be an important structural decision, to help reduce the wind sale of the crown of the tree and therefore creating an improved crown resistance, removing crossing branches that can cause infection, as well as creating access for CCTV cameras and other utility wiring that crosses the boundary of the tree. 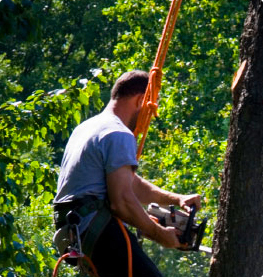 Tree thinning is an expert procedure, that should only be carried out by highly qualified and very experienced tree surgeons. 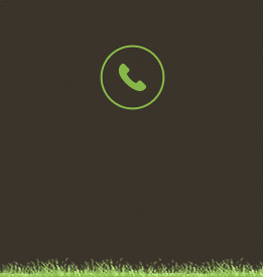 It demands a high level of knowledge of trees, tree shapes and experience working from the inner limbs of a tree. 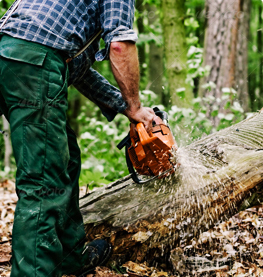 At Al's Tree Surgery, we offer a highly professional tree care service that allows a variety of clients to make use of the Tree Thinning procedure offered by our most experienced tree surgeons.